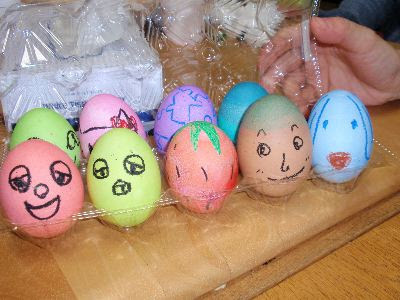 This Sunday's Easter party was a big success! Ten kids and eleven adults attended and we held an Easter egg hunt, played bingo and decorated eggs. Here are some photos from the big day! 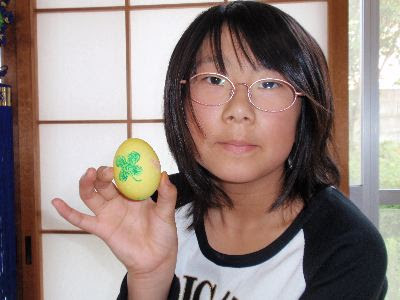 This is Chika, with the clover egg she decorated. Quite a young artist! 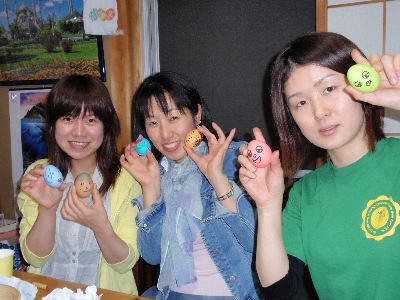 These lovely ladies are, from left to right: Chihiro, Yoko and Akiko.